Oceanview and Dunes Club! Perfect combination for a relaxed lifestyle which offers the best of our area. This beautiful 8800+ sq. ft. home is exquisite in every detail, inside and out, while boasting gorgeous views of the ocean from throughout the home. 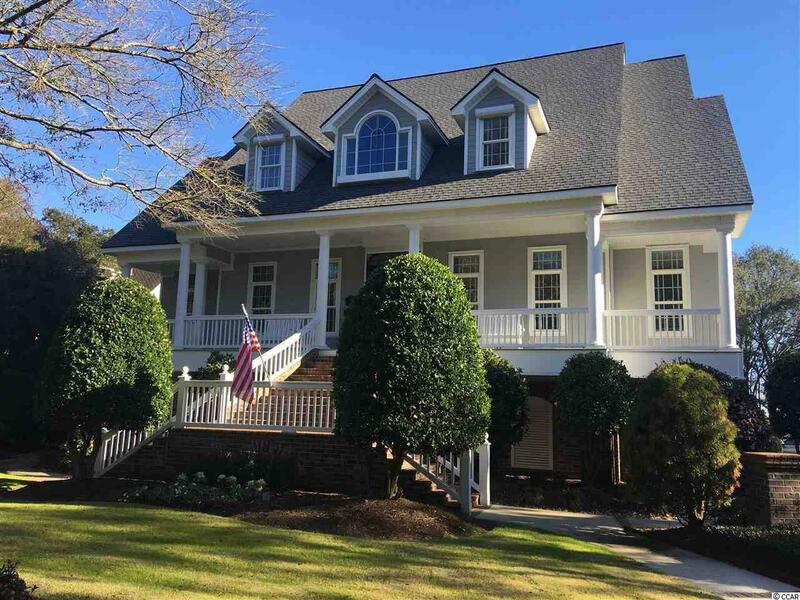 This 6 bedroom, 5 and Â½ bath custom built home is full of extraordinary appointments which are evident as you enter through the inviting front porch area. Enter into an impressive foyer to the great room which boasts floor to ceiling custom windows, custom built ins and a gas fireplace. To the left of the foyer is a large office which features built in custom cabinets, wainscoting, and exquisite crown molding. Across the foyer is a spacious dining room which comfortably seats 12 for entertaining, holiday meals and family gatherings, The gourmet kitchen provides custom kitchen cabinets, beautiful granite, vast work areas and stainless steel appliances including a warming drawer. Professional high-end Subzero refrigerator, and Thermador gas stove makes this a desired chefâs kitchen. Relax in the adjoining keeping room which enjoys an ocean view and is convenient to the outdoor living areas. Accessing all floors is easy by elevator or by the staircase. On the 2nd floor, you will find a loft with a great ocean view and split floor plan for the bedrooms. The bedrooms access a large balcony space overlooking the backyard and the ocean view. On the top floor, you will enjoy a stunning media room to watch your movies and games, complete with surround sound, theatre lighting and a retractable screen or play cards at the card table. This area also offers a kitchenette along with two more bedrooms which is perfect as a mother in law suite. All of this is situated on the largest rear lot in the Dunes Oceanfront area. Rarely does an estate of this caliber become available at this reduced asking price. Priced below appraised value. Enjoy your direct beach access, walkway, convenient to restaurants, close to shopping and entertainment and less than one mile from Grand Strand Regional Hospital. All measurements are approximate and are to be verified by buyer and or buyerâs agent. Call Nancy for more information. This magnificent home is priced below appraised value.